You might remember in February I mentioned that I had three projects in their third trimester? Well, one of them has been born! Meet our little girl, Olivia Grace Fritzsche. 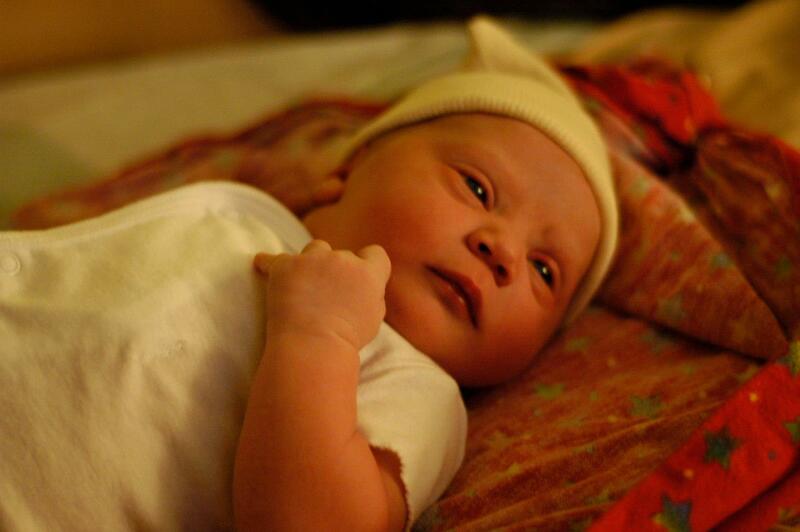 Olivia Grace Fritzsche, on her birth day. She was born at home, weighing 8 lbs 12 oz and measuring 21 inches long. She slept through the night at 1.5 months and is a sweet and joyful babe. We are so blessed to have her! The other two projects, the short film, Sonny, and the short film, Jerry & Diane, are still in post. We’d hoped to get them done before Olivia arrived but it just didn’t happen.